Click here to DONATE to support the care of Sonrisa! Sonrisa arrived at ERAF in November 2018 with the 11 other horses known as the Union 12. 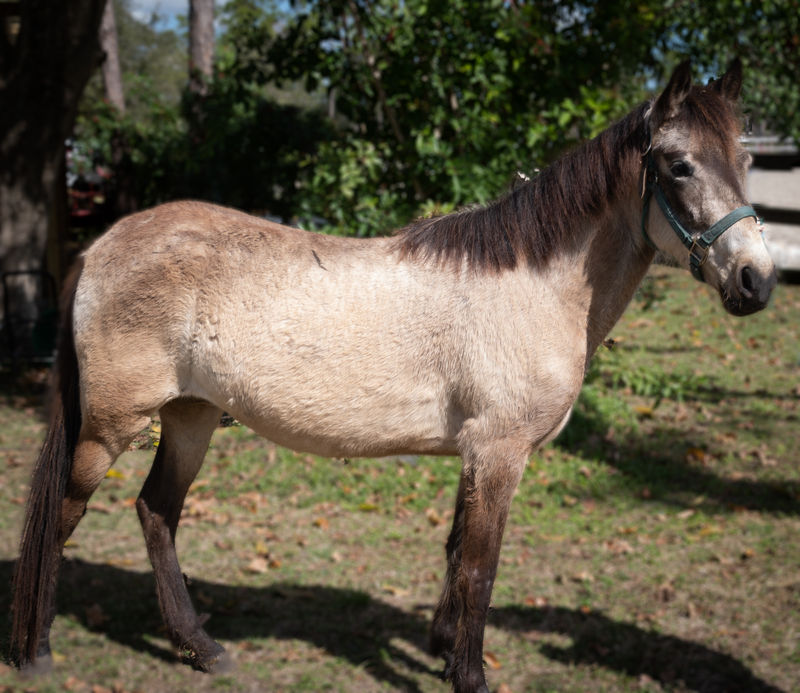 They came from a group of 51 Paso Finos that were seized by law enforcement in Union County, Florida. On a scale of 1 to 5 with 1 being Calm and 5 being Spirited, Sonrisa is a 3.00. Sonrisa is a flashy buckskin Paso Fino mare with wonderful ground manners and the sweetest disposition. She is currently being worked on the ground but has not yet been started under saddle. We are assessing her potential but believe she is an excellent candidate as a trail or pleasure horse. 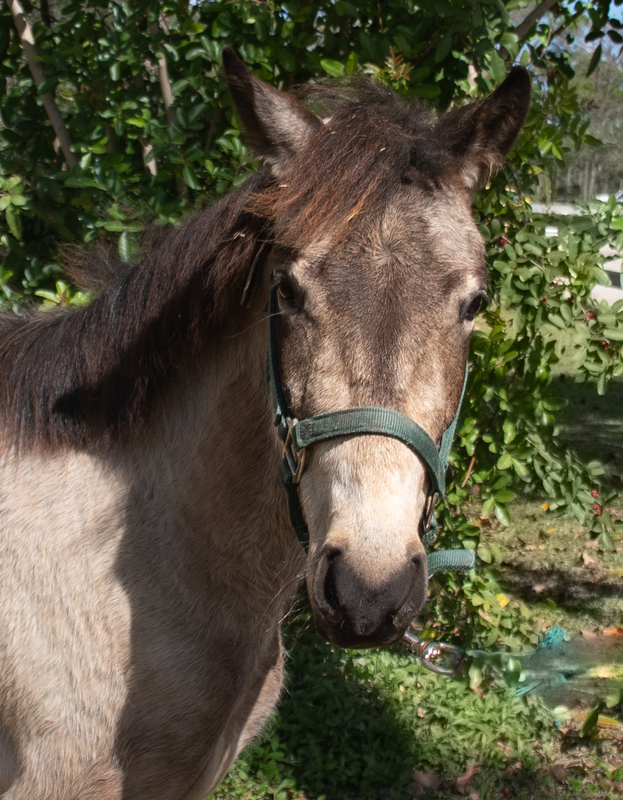 Sonrisa is located at Equine Rescue and Adoption Foundation Barn, 6400 SW Martin Highway, Palm City, FL 34990.